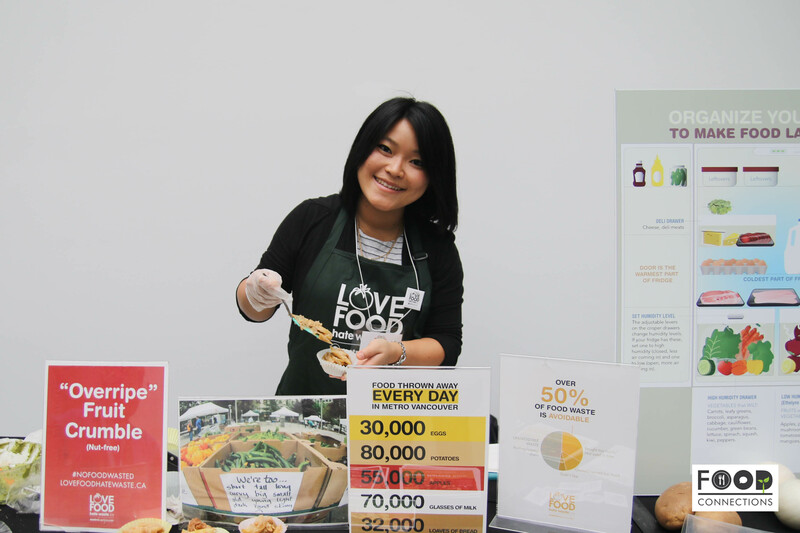 On World Food Day, October 16th 2016. 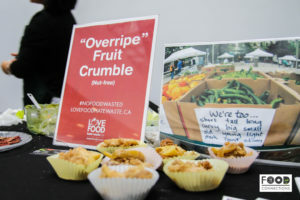 We were hired by Metro Vancouver – Love Food Hate Waste to join forces with them and our friends from Engaging Minds to raise awareness on food waste. 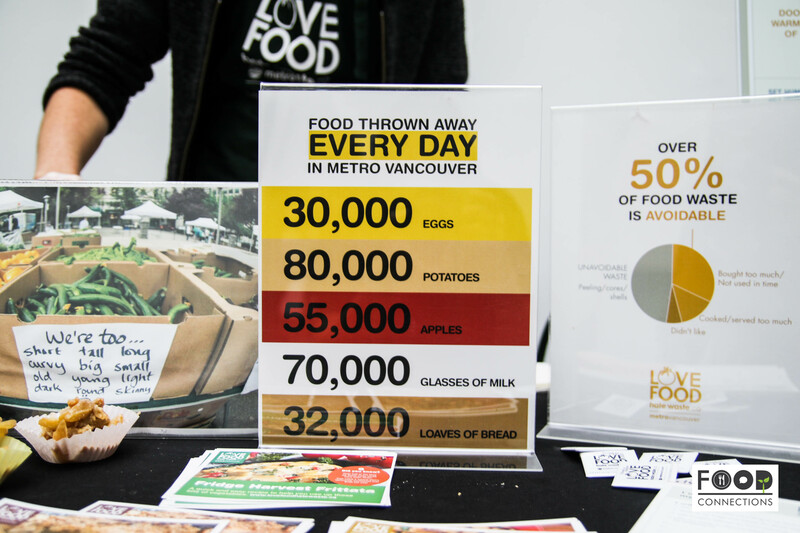 The event was held at Science World, where science and technology meets innovation, the perfect place to educate and engage the community on social causes that affect each and every one of us. 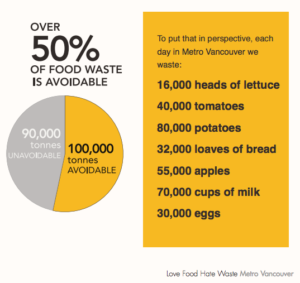 Based on a survey of 500 households across Metro Vancouver, it was found that over 50% of food waste was avoidable. To put it into perspective, we incur 100,000 tonnes of avoidable food waste every year in Metro Vancouver. To inspire people to be creative in the kitchen with perfectly edible ingredients that usually end up in the garbage, we served samples made from rescued food or food that would have otherwise been thrown out. Local grocers usually carry an overabundance of seasonal produce, such as apples. Many of which become slightly overripe, bruised or dented during transportation, making it unlikely to sell, solely due to its unappealing appearance. 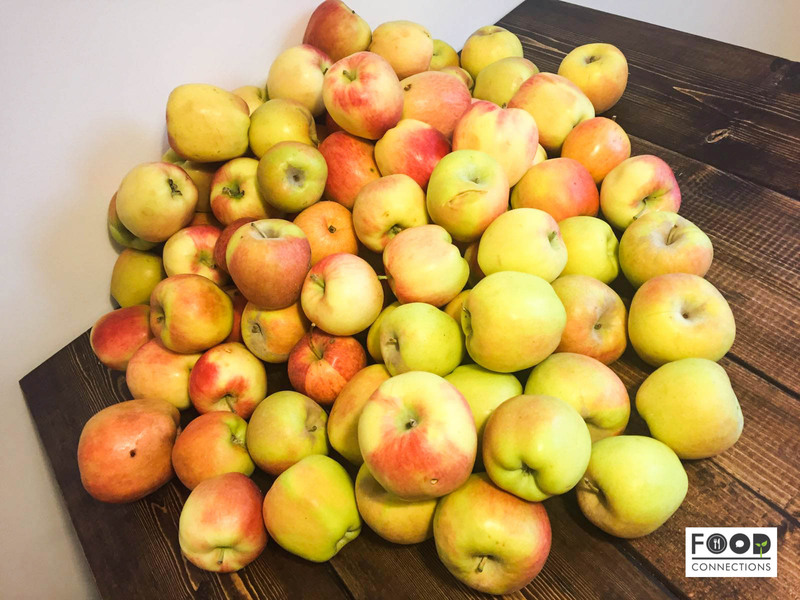 The owner offered to sell us 25 lbs of bruised apples for $8. We then realized 25 lbs wasn’t enough and so asked for 50 lbs of apples. He offered to sell everything to us for $10. $10 for 50lbs of “imperfect looking” apples. This goes to show how unlikely it is for them to sell these imperfect apples. Just because they have a slight dent or mark on them doesn’t mean they are inferior to their perfect and prestigious looking counterparts. Don’t throw away your broccoli stems. 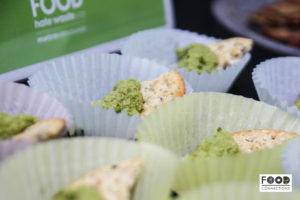 Blend them up to make your own pesto. 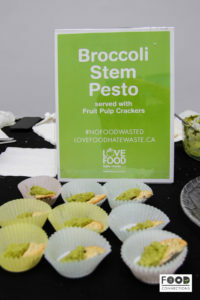 You can find the recipe for this savoury broccoli stem pesto here. Don’t toss your pumpkin seeds away after Halloween. 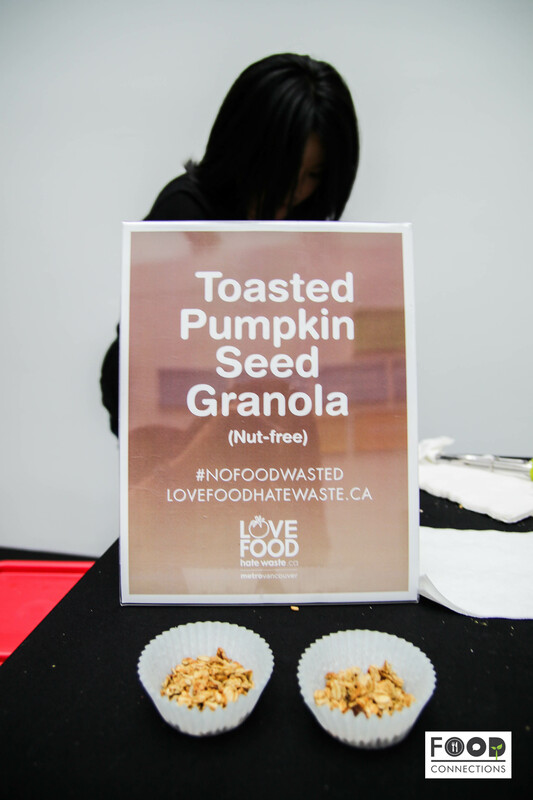 Toast them up and grind it up into a granola. Great for breakfast as cereal, over yogurt, or as a healthy mid-day snack. Limited planning ahead of time for groceries and preparing meals for the week was a top contributor to food waste. 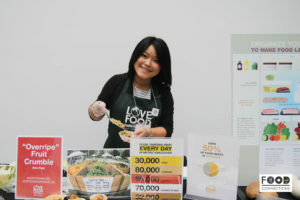 Cook only what you need, leftovers make up 20% of all avoidable waste. 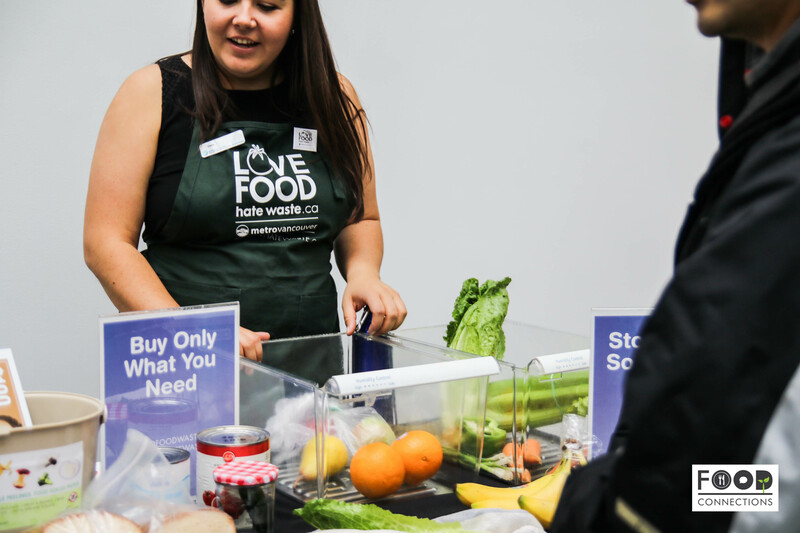 Remedy: Use Love Food Hate Waste’s Portion Planner to find out exactly how much of each ingredient you need for your meals. This way, you won’t be left with a fridge full of leftovers. 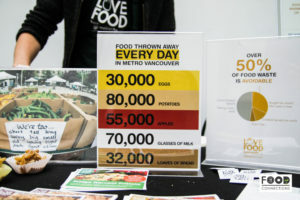 (3) Throwing away perfectly good pieces such as bruised, dent, or slightly over ripe ingredients. Remedy: Try to be creative in the kitchen, using every bit and piece left over. 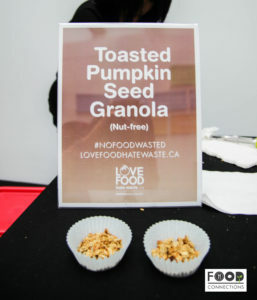 Use Love Food Hate Waste’s Recipe Guide for inspiration and ideas. 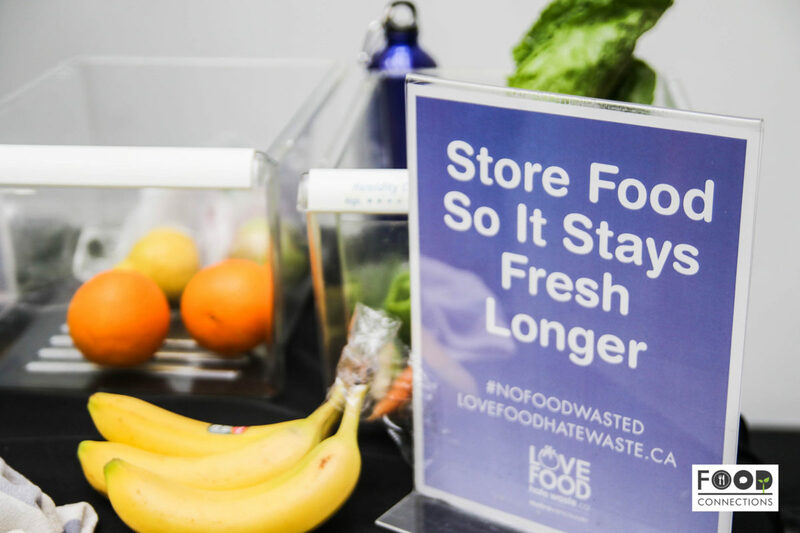 Tag us on #nowastefoodcxn and share your zero waste efforts, storage tips, and recipe ideas with us!